I suppose it’s officially the golfing winter here in Portland, OR seeing as the GHIN (the national system for score keeping in golf) registration system stopped taking scores yesterday and will not come back online until March 1. This makes sense because most people/places play “winter rules” through this time of year and if you are improving your lie you shouldn’t be counting your scores. And, with the weather and conditions how they are I can see that people could get frustrated posting higher numbers throughout the winter even while improving their lies. For my purpose, though, I wish that I could keep posting without a break, although I think this is a blessing in disguise. It is much harder to make necessary changes in your swing if you know that each shot counts and you are going to post the round. During the summer, I was posting everything and once I got into the round I found myself reverting, on way too many occasions, to old habits that I knew “worked” instead of sticking with a new swing or swing thought. I definitely worked on things off of the course and would bring new swing techniques to the round, but there were plenty of times when a crucial shot was in front of me that I found myself going back to something that I wanted to remove from my game because I knew how it would perform at that moment. Now, I have a couple of months where I can’t register and this is going to allow me a break from score keeping in order to get to the important swing mechanic work that I need to do. The winter is a great time to adjust, grow and workout. The summer is for playing and learning how to score. Periodization is an organized approach to training that involves progressive cycling of various aspects of a training program during a specific period. It is a way of alternating training to its peak during season. The aim of periodization is to introduce new movements as one progresses through the macrocycle to specify one’s training right up until the start of the season. Tiger uses this to make sure that he is at the pinnacle of his game for each Major. Right now, I am going to use it so that I have all of the kinks out and am in the best shape physically, mentally and swing-wise by next Spring. There will be a ton of tournaments next year and now is when I need to make the changes I need to make in order to perform better than I did this year. Improving, one season at a time. This past year was for getting the feet wet. I played my first full round with a full set, learned what it meant to shoot in the mid-70s and played in my first single and multiple day tournaments. I know so much more about the world of golf and tournament golf now and I know what I need to do to perform better next year in every event I play in. I’m going to hit the greens running this winter. There is a lot of work to do and I’m excited to do it. Preparing for the season is what the off-season is for. Let the preparatory phase begin. 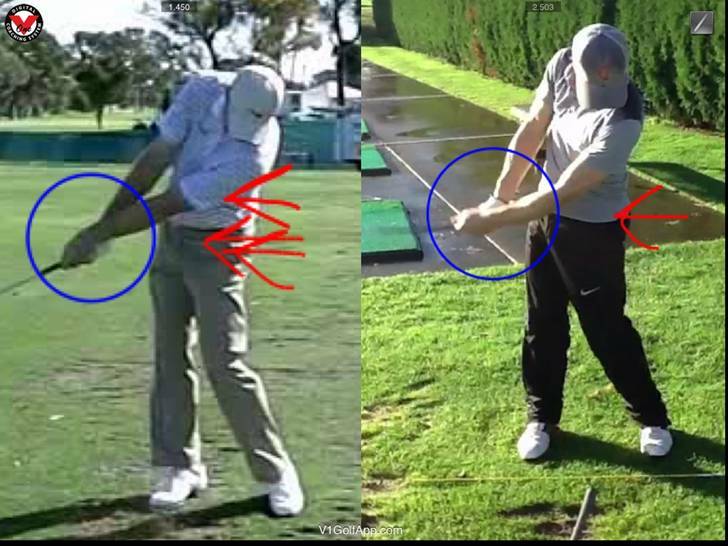 Being a right arm dominant person playing golf as a lefty definitely has some plusses and minuses, but that is an entirely different blog that I will post soon..
11 Responses to "Winter’s Bones"
It’s this type of analysis that really has me glued to your blog. Winter is a good time to GRIND on fitness, biomechanics, brain training, and other work away from the course. The scooping action after impact is common to almost every golfer with higher than a 10 index. How are you going to work on this issue of wrist mechanics? Don’t forget about your nutrition. We are what we eat. Your approach to this project has been very encouraging for my game. Texas and we get to enjoy year-round golf weather. Keep up the hard work and it will pay off. You can use an alignment rod instead of a shaft, in fact in works better because it’s smaller. At first it might seem impossible to get the rod down the shaft but just force it and it eventually will. This will probably be a crazy feeling for you but it can ensure a proper impact position and rotation through the ball. Thanks for that drill. I’m going to give it a shot tomorrow..
Definitely. Nutrition is key and vital for energy! 82 and sunny? count me in. I’m going to check out David’s drill and see how that helps. It looks like a good one for eliminating the scoop that I never realized I had until just the other day with my new coach. Strange how some things can exist for so long without our knowledge. I don’t think you are playing enough golf. Six recordable rounds in November and 9 in October is not enough time on the course. Perhaps you are going on the course and practicing in addition to the rounds you record for handicap purposes? As you know, there is a big difference in hitting balls on the range and chipping/putting on the practice green versus trying to navigate oneself around a golf course. You check out Stack and Tilt yet? 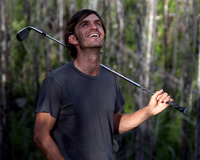 Plenty of tour players who tried it and lost their game like Mike Wier as he lost his tour card. Flipping happens as any swing flaw from not being on plane and being able to apply the wanted speed/force into the swing without impedence and compensations. This is Hans Andersson, spent 2 days and 4 hours in -4 celsius cold with me and he increased his speed with 10-15mph in those 4 hours. Not only that he also hit it more accuratly. The way the body is suppose to move allows you to be athletic in your swing action and not trying to compensate to be on plane.